In the cold reality of international relations, the boldness exhibited by President Donald Trump in his first 100 days is far preferable to the timidity of the past eight years of the former administration. Nevertheless, the “art of the deal” probably is the best and least dangerous option for dealing with North Korea. Despite Kim Jong-Un’s outrageous rhetoric, bizarre behavior, and brutal elimination of potential threats to his rule, he seems more sociopathic than insane. Ultimately, Kim lives like a debauched, ancient, Asian despot, and a good bet would be that he probably wants to continue living to debauch to his self’s content. His behavior is more akin to that of a rattlesnake rather than an obsessed tyrant like Adolf Hitler who, being insane, preferred Gotterdammerung to loss of power. “The Whiskey Rebellion” Join us for lunch on June 6, 2017 and hear a fascinating presentation from Grove City College President Emeritus Dr. Richard G. Jewell ’67. Click here to learn more. 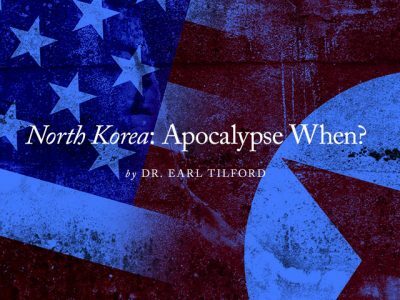 Additionally, Kim and North Korea’s military leadership are far different from the Islamist jihadists in Raqqa and, for that matter, the mullahs in Tehran with their Armageddon mindsets bent on a nuclear war to advance their end-times scenarios culminating in various iterations of global, Islamic caliphates. Though he seems reckless, Kim Jong-Un does not want World War III. Neither do the leaders in Beijing. The instinct to survive to keep on behaving badly is what makes socio-paths so dangerously cunning. While tensions between Washington and Pyongyang rise, it’s time to for the Trump administration to take a breath and evaluate options. 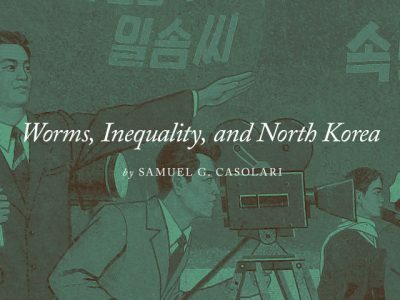 Although the North Korean regime cannot survive a war with the United States, the costs could be astronomical for South Korea, the United States, and China. The ground forces in North Korea’s People’s Army (NKPA) number over one million, with up to seven times that number in reserve. More than 3,500 to 4,000 tanks and an estimated 2,000 armored fighting vehicles support North Korean infantry. Estimates indicate there are over 8,000 artillery pieces and 5,000 mobile rocket launchers, many of them zeroed in on Seoul, 30 miles south of the Demilitarized Zone. Because the North Korean Air Force (NKAF) is antiquated, much of Pyongyang’s military would be devastated in the first few days of fighting. The approximately 1,200 combat aircraft in the NKAF are Soviet-era legacy systems, the latest acquired during the 1980s. In addition to being obsolete, most NKAF planes are flown by inexperienced and poorly trained pilots. American fighter pilots receive more training in a month than North Korean flyers obtain in a year. Fear of potential defections to the South keep NKAF pilots under rigid control. Lack of expensive jet fuel also inhibits training. The fangs are in North Korea’s integrated air-defense system’s surface-to-air missile (SAM) and anti-aircraft artillery (AAA). Much of this system protects artillery deployed along the frontier. Additionally, self-propelled SAMs can advance with the infantry. Nuclear and missile sites rely on SAMs and AAA for protection. 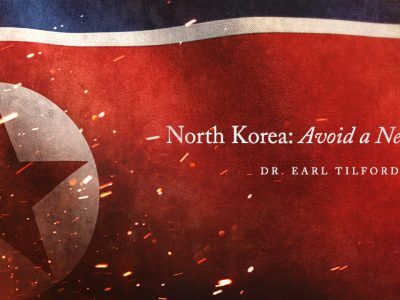 It is likely enough North Korean People’s Army artillery will survive long enough to devastate Seoul, injure and kill thousands, possibly scores of thousands of civilians, while dealing a crippling blow to the Asian economy, to include China’s and, by extension, those of the United States and Japan. Unless Kim Jong-Un is insane—which he probably is not—starting a war with the United States would be suicidal. Provoking him with even a limited military strike, however, would be like stepping on a rattlesnake. The response will be swift and devastating. Kim will continue his weapons-development programs, even if President Trump orders those missiles shot out of the air or otherwise disabled—which could provoke Kim into a military response. While many of their missile launch sites are above ground and therefore vulnerable to U.S. airstrikes, some are concealed. Most of their nuclear facilities are deep underground and relatively invulnerable to anything other than nuclear strikes. Finally, U.S. military forces have not recovered from ravages of 16 years of deployments to Afghanistan and Iraq, sequester-driven budget cuts that devastated maintenance and training, and personnel policies focused on propounding a socio-political agenda that drove many warfighters to resignation or early retirement. American armed forces need rebuilding and rearming as well as a reformed focus toward warfighting with destroying the enemy as the ultimate goal. North Korea is ruled by a sociopathic personality inured to brutality exceeding anything by Uganda’s Idi Amin and Haiti’s Francois “Papa Doc” Duvalier. What’s needed is regime change. The use of American military force could prove devastatingly expensive in blood. The Trump administration’s best alternative is to ratchet up pressure on China to affect regime change in Pyongyang. Additionally, it should request full funding for the Boeing Midcourse Ground Based Defense System designed to shoot down incoming missiles.